Are you going to NERGC? Are you going to the 2o13 New England Regional Genealogical Consortium Conference, usually referred to as NERGC? The conference is held every other year in New England and is a wonderful place to network with other genealogists and to learn about new records and resources for genealogical research, including incorporating social history into your research. Looks like there is something here for everyone (plus so many other classes, workshops and networking opportunities). Which classes are you most interested in attending? Recently I have come across many different resources for cookbooks form various time periods. I have also found some cookbooks on Amazon either free or very cheap. These are wonderful resources to learn more about an important part of daily life of our ancestors: cooking and eating. For those in the Boston area, the Schlesinger Library (part of the Harvard library system) has a wonderful cookbook collection and is one of the few Harvard libraries open to the public. While I have not had the chance yet to review the collection, I did stop by earlier this week to get a general overview of what was there, and the reference librarian was very helpful. Read this news article or visit the library website to learn more. Another great resource is the Feeding America site at Michigan State University. The University has more than 10,000 cookbooks in its collection and 76 are available digitally on the website. These are from all different time periods from 1798 to 1922. A pdf file is available for these cookbooks, as well as a transcript. They also provide a glossary and pictures of various cooking implements on the website. Historical cookbooks can also be found in gifts shops at living history museums, on Amazon (search historical cookbooks), and maybe even in your attic or among family papers. Also look at culinary history books that provide an overview of prevailing views about food and nutrition over various time periods. I’m browsing through “Martha Washington’s Booke of Cookery and Booke of Sweetmeats” by Karen Hess and “Northern Hospitality: Cooking by the Book in New England”. What are you reading? What interesting recipes have you found from a place and time important to you and/or your ancestors? I will post to this blog the 2nd and 4th Monday of every month, rather than every Monday. However, I will post more frequently to my new Bridging The Past Facebook page. Posts will include websites, quick thoughts, and upcoming events. Please check out this page. I also have a Pinterest page dedicated to genealogy and social history. I hope that you will keep in touch with me through this blog, Facebook and Pinterest! 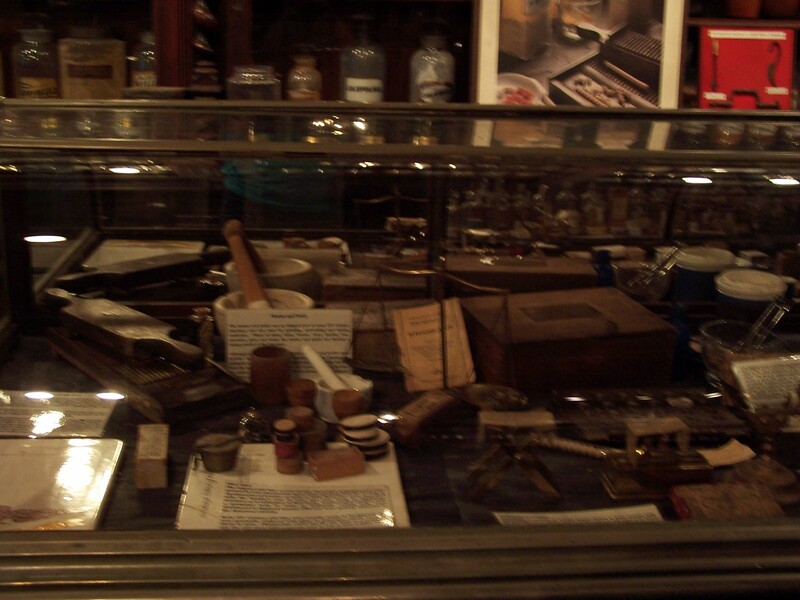 I was in New Orleans for a business trip and took some time to visit the Pharmacy Museum. 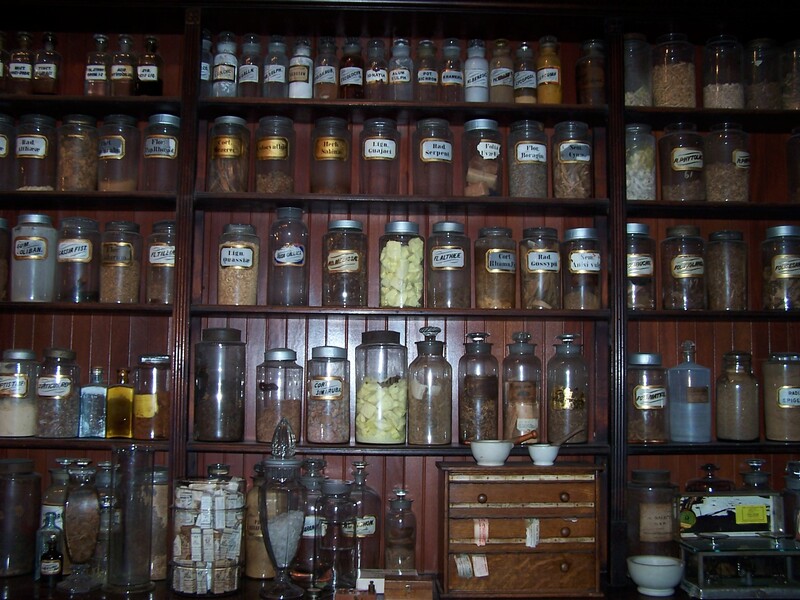 The museum is the first pharmacy whose owner passed the new licensing exams in the early 1800s. 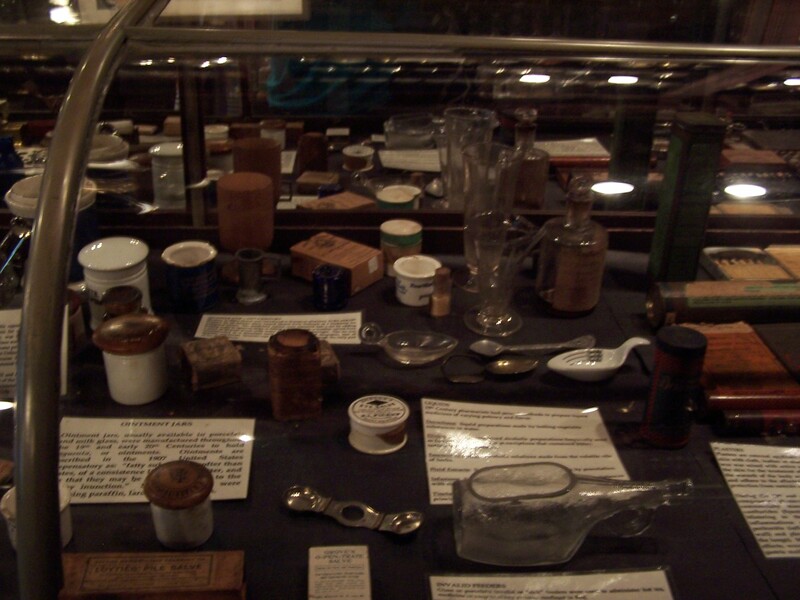 The best part about the museum was all of the information it had about illnesses, treatments and displays of medical instruments. I love looking at all the old bottles. Many of them still had some of the original medicine left in them. I found the information on injections and syringes especially fascinating. I had no idea that they have been around for about 2000 years. 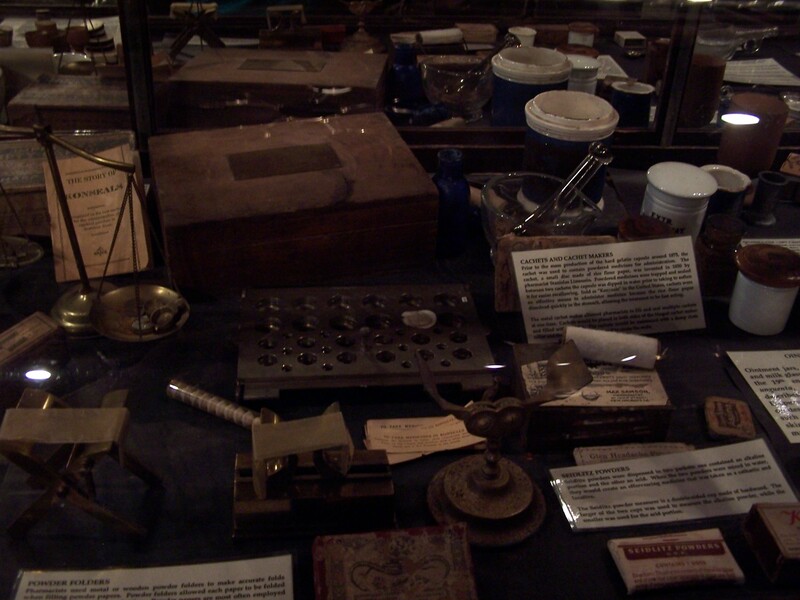 These pictures show the wide variety of instruments that were used. 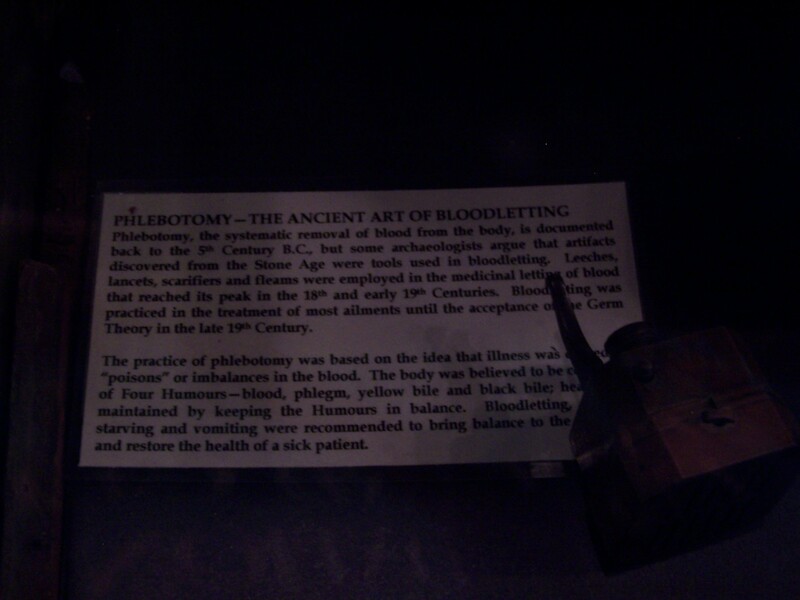 This was another display that had to do with bloodletting, in order to balance the humors. 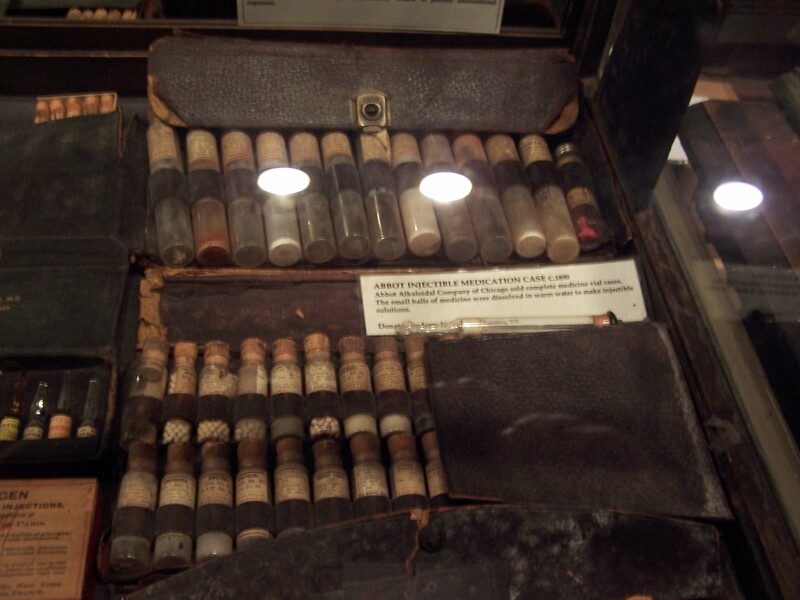 Understanding medicine in various locations and time periods is one of my passions and I will always visit any museums I can find that portray this. What are your passions and your favorite museums?